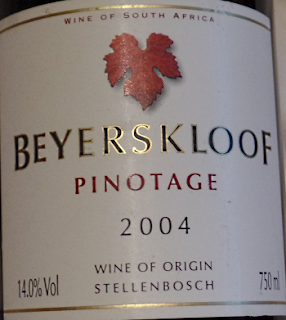 My Wine of the Month for December 2017 is Beyerskloof’s Pinotage 2004. It’s their basic large volume ‘white label’, but look at the vintage: 2004! The back label says that it’ll continue to mature for up to 8 years, presumably from its vintage in February 2004, which would take the wine to 2012. This was consumed in December 2017, thirteen years and ten months later, more than 5½ years past its maximum suggested keeping. This is from the Stellenbosch appellation (more recent vintages are generic Western Cape) and the grapes come from un-irrigated 20-40 year old vines. Although it bears the name and address of Beyerskloof’s UK distributer, I bought this bottle in the Cape earlier this year from the must-visit Wine Village just outside Hermanus. Some bottles had been left from one of their tastings hosted by Beyers Truter and the wine had been stored in Beyerskloof’s cellars. The wine had a brownish edge and on first opening offered not much more than a old-aged smell. But with a little air the fruits shone through with that Pinotage sweetness. Perfectly mature, showing how well even Pinotages not made for lengthy aging can and do evolve and age. Lovely and gentle with barely noticeable tannins, sweet aged fruit and the delicacy of age, this wine was a delight. The Pinotage Club has been on the web for 20 years, since December 1997. The beginnings of The Pinotage Club date back to early 1997 when the subject of conversation of a group of business travellers working in Cape Town turned to wine. 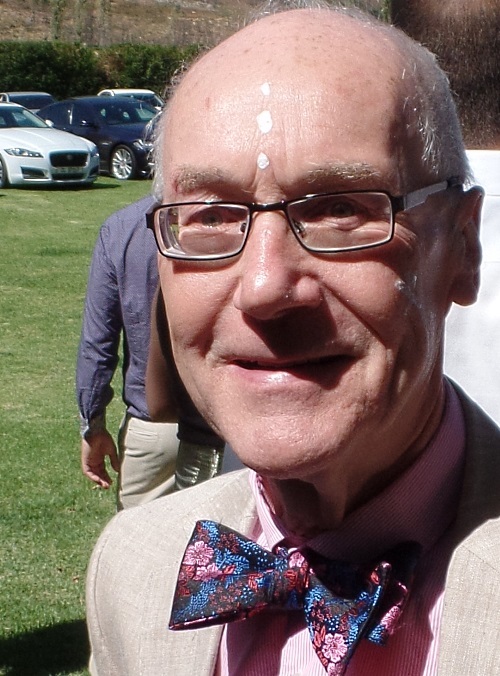 The group felt that the South African wine industry was not capitalising on its one unique asset – Pinotage -- that Pinotage was underrated in its own home, that diversity of wines was to be encouraged and that Pinotage needed a ‘fan club’. And so The Pinotage Club came into being. Our first website carried information known about Pinotage and attempted to list every Pinotage wine available, with label pictures and reviews. In retrospect it was an unfortunate choice of a name since, as later became clear, in the United States wine ‘clubs’ are commercial organisations selling wines by subscription. Because many people did not use the web and those that did mostly used dial-up services with very little bandwidth, a regular newsletter with extracts from the website was emailed out to all who requested it. This newsletter was often printed out to be circulated through wineries and pinned to notice boards. People still tell me that they miss it. 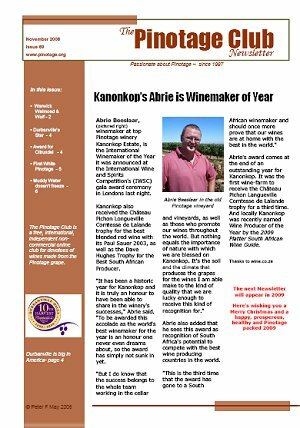 After three years of being a lone voice promoting Pinotage on the web, the producers Pinotage Association launched an impressive web site at www.pinotage.co.za. The increasing wealth of detailed information on that professionally run site, the increasing number of wine brands and the increasing overhead of maintaining the Pinotage Club’s GeoCities web-site (which was hand coded using HTML on Notepad) led to the migration in 2006 to this blog format. Here news items of interest to Pinotage lovers could be quickly published. We agreed it is a valid observation that, for the variety to be considered successful, it must surely be adopted by other countries. We soon found that Stevenson was wrong in saying it was exclusive to South Africa since Pinotage wine was being made in New Zealand where it had been grown since the 1960s. And Zimbabwe’s two wineries both made Pinotage. Further spread of the variety had been halted by international sanctions against South Africa during apartheid years, although some cuttings had managed to travel in visitors’ suitcases. In 2001 at the first International Pinotage tasting, which was held in the Cape, local winemakers who tasted ‘blind’ were stunned when Babich Winemaker’s Reserve 1999 Pinotage from New Zealand was revealed as the favourite. I conducted another International Pinotage tasting in 2014 in Toronto for the South African Wine Society of 13 Pinotages from five countries plus three US states. And if Pinotage no longer “remains an exclusively South African wine,” what of South African Pinotage? There is no doubt that there is better Pinotage now being made in the Cape. Much of the thanks for this must go to The Pinotage Association for its research into factors affecting growing and vinifying Pinotage. Now there are a generation of wine drinkers for whom Pinotage is just another variety, without any of the negative connections felt by many older drinkers. It is interesting to see how versatile Pinotage is; pink Pinotages assuaged the recent increase in popularity for rosé wines. Co-fermentation with Viognier was pioneered by Fairview, Laborie Estate brought out dessert Pinotage fortified with Pinotage brandy, Sylvanvale released an Amarone style wine made from grape bunches dried on the vine, Graham Beck made the first Methode Champenoise red Pinotage and Simonsig had great success with their Methode Champenoise pink Pinotage. California’s Loma Prieta launched the world’s first Blanc de Noir white sparkling Pinotage in 2016. Diemersfontein created a cult with their coffee and chocolate Pinotage and Stormhoek and Froze created pinks meant to be served over ice. And an ice-wine, made from Pinotage grapes frozen on the vine, was made by Canadian winery Stoneboat. Year after year more wineries compete in the annual Pinotage Top 10 Competition with Kanonkop Estate currently holding the record for the most wins, with twelve, and several wineries are snapping at its heels. We started the Pinotage Club as it seemed possible that the variety could vanish. Now the future seems bright. In the 2006 Platter Guide said Pinotage was planted in 2.7% of South African vineyards. The 2017 Guide shows its share as 7.47%. And there are now Pinotage vineyards in countries around the world that didn’t have any in 1997. – Pinotage Club formed, website goes live December. – Pinotage Club described as ‘Passionate about Pinotage’ by the South African newspaper The Dispatch. – First sparkling red Pinotage made by Graham Beck. – Severe fires in the Cape hit several vineyards. – Pinotage confirmed in Brazil and Virginia. – Pinotage Club presents five Pinotage tastings in London and Glasgow - 2000 & 2001 Pinotage Top 10, Kanonkop vertical, International Pinotage and ‘Back to Back’ - Pinotages from cousins Michael (Backsberg) Back & Charles (Fairview/Spice Route) Back. – More Pinotage tastings in Cape Town (with WineCellar) and London. – Pinotage Club held Pinotage Top 10 from 2002 tasting in London. - ‘California Wine and Food Magazine’ reports local Pinotage is “clearly superior” after tasting 12 California Pinotages from 10 wineries along with 7 from South Africa and 3 from New Zealand. – Stables release the first South African Pinotage from outside the Cape ; it comes from the new KwaZulu-Natal Wine of Origin region. – Beyerskloof produce a million bottles of their standard Pinotage, open new restaurant and wine tasting cellar, and toast it with their new sparkling pink Pinotage. 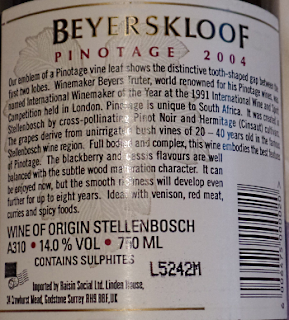 - International Wine & Spirit Competition awards Pinotage Trophy to Tesco Finest ‘Beyers Truter’ Pinotage 2006. - François Naudé launches his own wine, Le Vin de Françoise, with 2007 vintage, sold in one night by auction. - 350th anniversary of the first Cape wine: and 50th anniversary of the vintage of the first commercial Pinotage varietal wine, grown and made by PK Morkel of Bellevue and marketed by Stellenbosch Farmer's Winery under their Lanzerac brand name. - Peter May presents eight Pinotages to 60 members of Brentwood Wine Appreciation Society, in Brentwood, Essex, near London on a theme of ‘firsts’. - Kanonkops release their first barrel selection Black Label Pinotage . Only 1,000 bottles of the maiden 2006 vintage are available, at a record 1,000 Rand per bottle. - Cougar Vineyards release first Pinotage grown and made in California’s Temecula Valley, south of Los Angeles. - California’s Loma Prieta Winery launch a Pinotage wine club, the first in North America to focus solely on Pinotage, members receive regular Pinotage deliveries. 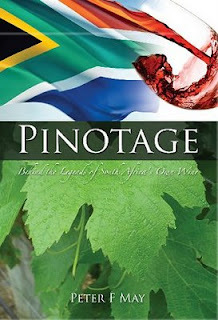 - Kindle eBook version of Peter F May’s book PINOTAGE: Behind the Legends of South Africa's Own Wine released on Amazon. - Tasting withPaul Kemp, owner of Loma Prieta Winery in California, America’s largest Pinotage producer. - Visiting Fort Ross Vineyards, Russian River, California. - Pinotage is approved for wine production in France by L’Institut Français de la Vigne et du Vin (IFV). - Pinotage Association members visit Loma Prieta winery in California. - Kanonkop launch varietal red Kadette Pinotage with the 2012 vintage. - World’s first Pinotage Icewine is made by Canada’s Stoneboat Vineyards. - Launch of Beeslaar Pinotage by Abrie Beeslaar, winemaker Kanonkop Estate with 4700 bottles of a single vineyard 2012 Pinotage. - Beyers Truter produces Pinotage infused beer. - Wosa host London tasting of Pinotages, including 1966 Lanzerac. - Pinotage is produced in Michigan, USA by 3 North Vines estate. - Peter May presents International Pinotage tasting in Toronto with wine from 5 countries and 3 US states. - KWV produce no-sulphite-added Earth’s Essence Pinotage by fermenting with Rooibois and Honeybush woods. -Capacity audience for Peter May’s Pinotage tasting at American Wine Society National Conference in Charlotte-Concord, North Carolina. - Loma Prieta ‘Bodo’s Blend’ Pinotage wins Best Red wine at American Wine Society awards. - Figures show 16% increase in the amount of Pinotage crushed in California, now 400% more than crushed in 1997. -Kanonkop wins three Trophies at IWSC, Pinotage, South African Winery and Winemaker of Year. - Angola’s first Pinotage is harvested at Quinta Crescent estate. - California’s Loma Prieta winery produces world’s first 100% white sparkling wine from black Pinotage grapes. - Jerome Winery has Arizona’s first Pinotage vineyard. - South Africa’s Pinotage plantings increased by 13.41% over decade ended 31 December 2015. - Three Ships 15 Year Old Pinotage Cask Finish, matured in un-rinsed Pinotage casks, a world first, is released. - Beyers Truter presents Pinotage masterclass at La Cité du Vin in Bordeaux. - Visit to Oak Mountain winery in Temecula Valley, California and their new Pinotage vineyard. - Decanter Magazine elects Kanonkop Estate Pinotage 1995 to its Hall of Fame. - Pinotage vinegar is producd by Supreme Vinegar LLC in Pennsylvania. - South African Post Office releases wine stanps; one pictures the first varietal Pinotage. - Visiting Ontario’s Del-Gatto Estate. - Bellevue release single vineyard Pinotage from their 1953 vineyard. Kanonkop’s winemaker Abrie Beeslaar wins an unprecedented third Winemaker of Year award at IWSC, and Kanonkop again win South African Wine Producer of the year and Black Label 2013 wines Pinotage Trophy. 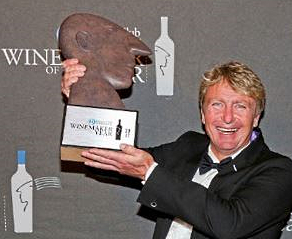 Christiaan Groenewald has won Diners Club Winemaker of the Year for his Eagles Cliff Pinotage 2017. This is the second win for Christiaan; he won in 2013 when the category was Non-Bordeaux with Arendskloof Tannat Syrah Voetspore 2011. The story is covered in The Citizen.